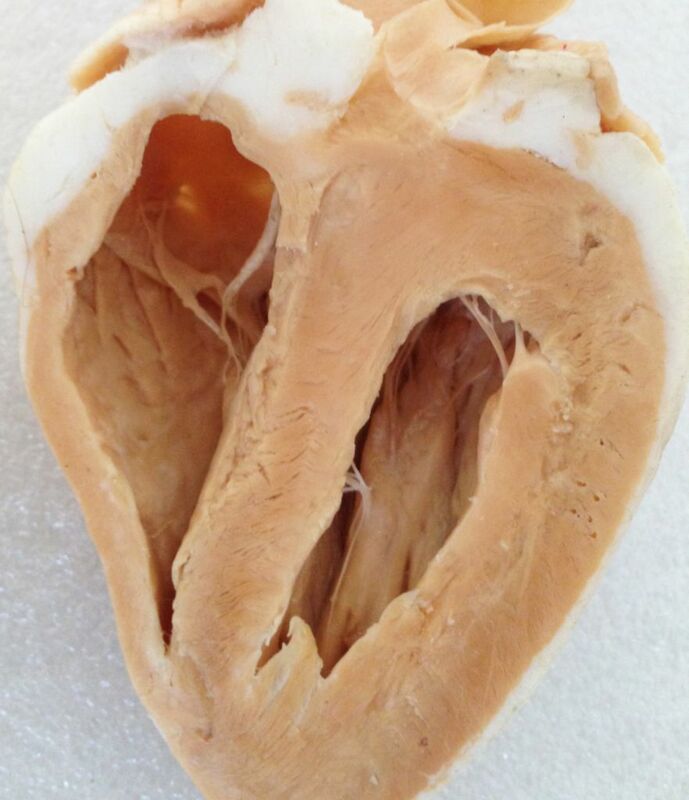 These sheep hearts are expertly prepared and double injected so veinus structure can be seen, as well as external structures. 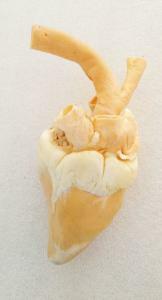 After injection and dissection, the heart is plastinated giving it the appearance of a dissection, with the durability of a model. 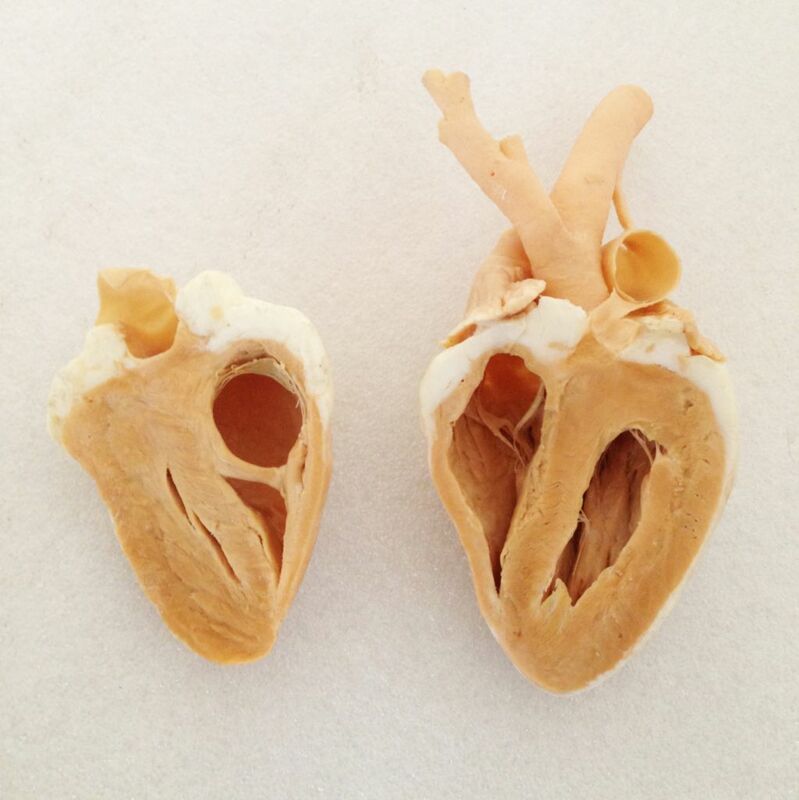 The whole heart is not divided and allows for external examination only. The bisected heart is cut longitudinally after plastination and allows students to examine and view the internal and external anatomy of the heart.